My art has been centered around my life in Marin County and my travels around the world. Through it all my eye picks up the nuances of nature and of my surroundings. It is through close observation that my inspiration is ignited and sustained. Watercolor painting and jewelry designs continue to free my imagination and provide many opportunities for questions to be answered through the medium, for happy accidents and grace to influence the final piece. I love being a creative person. My first love remains watercolor. 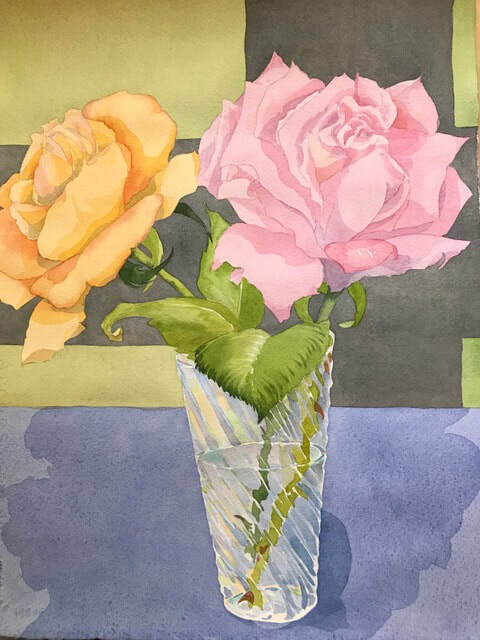 I am influenced by some wonderful masters of watercolor including Charles Demuth, Cezanne and Winslow Homer. ﻿In my jewelry designs I continue to look to nature for inspiration; leaves, twigs and textures all merge to become the base from which new images and ideas flow. Happy accidents and grace influence the final piece. Every once in a while I get the bug to paint with oils and acrylics. I enjoy the process and hopefully the outcome! My eye picks up the nuances of nature and my surroundings. To me, almost nothing is more wonderful than a new art pen and a pad of paper. It brings me back to my earliest days of drawing on our dining room table with my brother. To this day I bring a travel sketch book with me and love to draw.